Normal human being. Fascinated by the way things work. Hungry for learning. Fan of creative and complex projects. Five 9s good mood. Enjoys the sun, iced coffee and Ska music. I currently work at Facebook, building partnerships with vendors, operators and other players in the networking industry to improve Internet connectivity across the globe and make the world more connected. For detailed info, please check my LinkedIn profile. Delivery of solutions and proactive services for Cisco's large enterprise customers and Internet Service Providers in the EMEAR region. Working on a Cisco Advanced Services vertical focused on Datacenter, Automation and Software-Defined Networking (SDN) technologies. Project delivery for Microsoft's large enterprise customers. Technical role focused on the design and deployment of IT infrastructure solutions (mainly security, communications and Datacenter technologies). 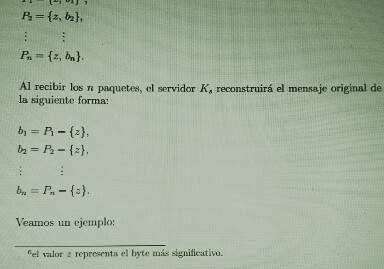 Customers include Telefonica, Abertis, Mapfre, Prisa, Atento, Produban. 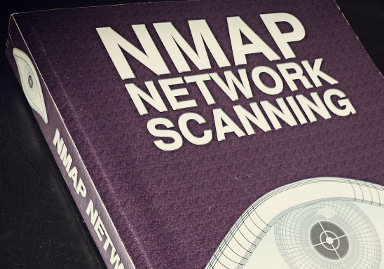 Developer for the Nmap Security Scanner. Developed Nping, a multi-protocol and multi-target packet generator. 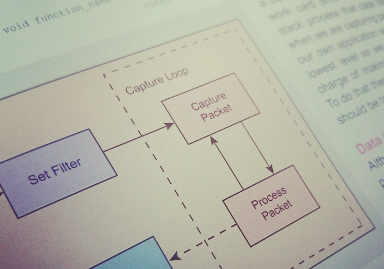 Developed the Nping Echo Protocol, a system to detect modifications to a packet as it traverses the network. Research and implementation of Nmap's IPv6 stack fingerprinting engine. Apart from the things that pay the bills, I have a few personal projects. Here are the ones that I believe could be of interest. I keep a bunch of miscellaneous applications and code on my Github repository. I won't claim they are the most useful tools ever but there I have some interesting Cisco ACI-related tools, other random scripts and also contributions I've made to other open-source projects. I wrote a command-line tool called "protocol". It is meant to provide quick access to an RFC-like ASCII representation of network protocol headers (e.g: IPv4, IPv6, TCP, ICMPv4, ICMPv6, Ethernet...), so you don't have to google them all the time. 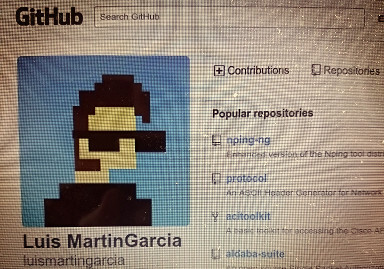 It is also and ASCII header generator for user-defined protocol headers. Using a simple syntax (e.g "TTL:16,Checksum:16,..."), one can generate any kind of nice and beautiful ASCII protocol headers. I've also written a number of articles and essays. Some of them were published, some others were collecting dust in a drawer until I placed them here instead. Remote Operating System Classification over IPv6. 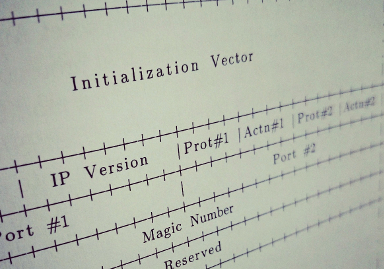 This is a paper that I wrote together with some other Nmap developers. It is about the research David and I did on IPv6 OS fingerpriting originally, and a number of cool features Mathias and Alexandru worked on, some time after that. 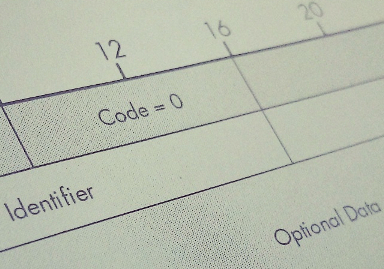 It got accepted in the ACM Workshop on Artificial Intelligence and Security, in October 2015. Challenges for Host Discovery and Malware Propagation in the IPv6 Address Space. This one was also written during my masters in Network Engineering. I never tried to publish it either. It's about how difficult it is for tools like Nmap to bruteforce IPv6 address spaces, and what techniques can be used to make host discovery in IPV6 feasible. Drop me a line and let me know what you think. 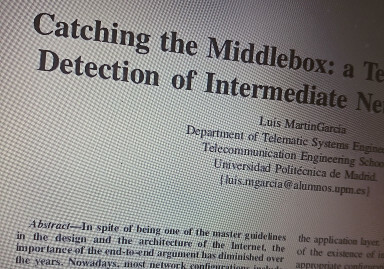 Catching the Middlebox: a Technique for the Detection of Intermediate Network Devices. 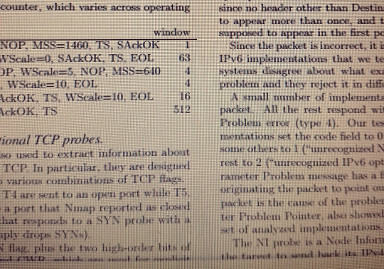 I wrote this paper during my masters in Network Engineering. I never tried to publish it. It's about figuring out what network devices exist between a sender and a receiver by analyzing changes to network packets made in transit. Let me know what you think. 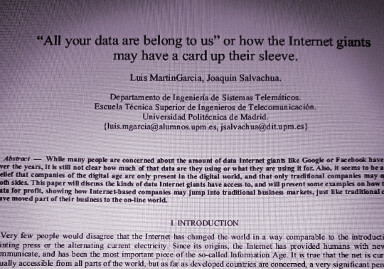 “All your data are belong to us” or how the Internet giants may have a card up their sleeve. This one is not very good, to be honest. It's about the kind of data the big Internet players may have access to and how they could use it for profit. It's more an editorial than a scientific article and most of the ideas it contains perhaps were relevant at that time but they now sound too obvious. I'll leave it here just for the record. Here are the slides for some of the presentations I've given outside work. 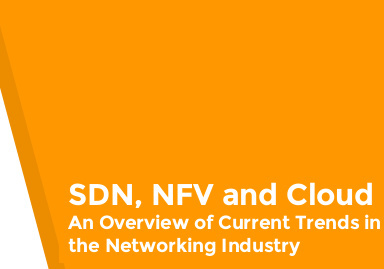 SDN, NFV and Cloud: An Overview of Current Trends in the Networking Industry. Since their conception, network devices have experienced an enormous evolution, acquiring new capabilities and making it possible to build networks at a planetary scale. However, the demand for products and services that are built on top of the network is growing at a pace never seen before. The traditional paradigm of hosting the control and forwarding planes in the same device along with the way networks have been deployed and operated in the past, has made the network a bottleneck in the IT stack. Software-defined Networking (SDN), Network Function Virtualisation (NFV) and Cloud environments are recent proposals from the industry to make networks cope with the speed and level of sophistication that is required in today’s enterprises and service providers. This presentation will provide an overview of these concepts and discuss how they relate to the trends and challenges observed in production networks today. If this wasn't what you were looking for, drop me a line. I am always up for communication with other human beings, especially if it's about something interesting. Feel free to reach me through the e-mail address below. © 2016 Luis MartinGarcia. Some Rights Reserved.